Sakura Sunday is the centerpiece event of the Subaru Cherry Blossom Festival. This day-long celebration of all things Japanese features live music and dance performances, martial arts demonstrations, arts & crafts, karaoke, and much, much more. 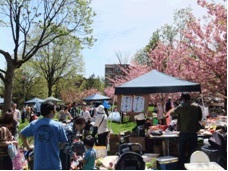 Sakura Sunday brings contemporary and modern Japan to Philadelphia and is held at Fairmount Park’s Horticulture Center, home to hundreds of blooming cherry trees. Many of the trees were part of JASGP's 1,000-tree pledge, but two trees at the sundial date back to 1926. Branch Brook Park in Essex County, NJ celebrates its 40th annual Cherry Blossom Festival in 2016. More than 4,300 cherry trees of 14 different species grace this park, of which 2,000 were donated by Caroline Bamberger Fuld in 1927. 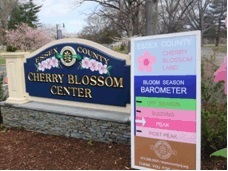 The Cherry Blossom Festival is hosted by Essex County in partnership with The Consulate General of Japan in NY and the Japanese American Citizens League (JACL) New York Chapter. 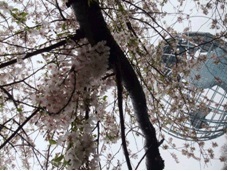 The Japanese American Association (JAA) of New York hosts its 12th annual cherry blossom festival in Flushing Meadows Corona Park this year. 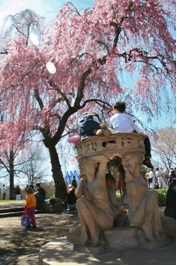 The donations of 168 cherry trees by JAA to New York City in April 2001 have made this festival possible, with co-sponsorship by the New York City Department of Park & Recreation. 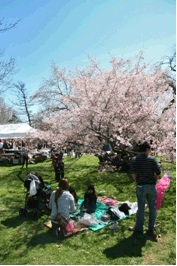 Brooklyn Botanical Garden will hold its very popular Sakura Matsuri (Cherry Blossom Festival), full of live Japanese musical and dance performances, ikebana and tea ceremony demonstrations, plus many arts and crafts activities for children which include origami and manga drawing workshops. 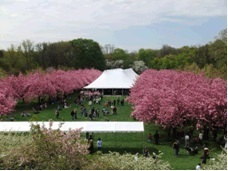 The largest cherry blossom festival in the Tri-State Area, more than 60,000 visitors visit the Brooklyn Botanical Garden's Sakura Matsuri each year. 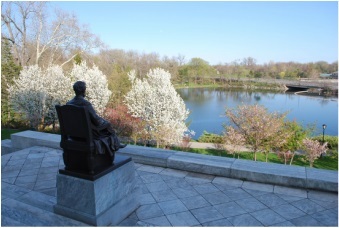 The Brooklyn Botanical Garden planted its first cherry trees in 1921 and BBG visitors can now enjoy more than 220 Japanese flowering cherry trees of more than 25 different kinds. These include "Kanzan,” the double-headed cherry blossom, and "Okame," the more delicate light pink cherry blossom, among many others which line the Cherry Esplanade and are found throughout the BBG. Founded in 1910, major attractions at the Brooklyn Botanical Garden include a Bonsai Museum and the Japanese Hill-and-Pond Garden, the first public Japanese garden in the United States, which was designed by landscape architect Takeo Shiota and completed in 1915. This year, Brooklyn Botanic Garden celebrates 100 years of its iconic Japanese Hill-and-Pond Garden. 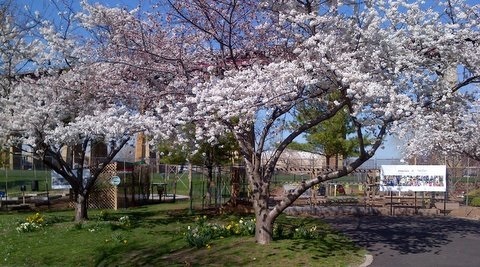 The Randall’s Island presents its inaugural Park Alliance Cherry Blossom Festival at its Urban Farm. The one-acre Urban Farm on Randall’s Island grows a wide variety of fruits and vegetables, and is composed of 80 raised beds, two greenhouse, four rice paddies and an 11-foot garden made out of plastic milk crates. A play space in the form of a tunnel doubles as a trellis for growing gourds. 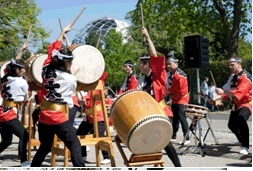 They are having performance, such as Taiko, Okinawa dance, calligraphy performance, live music and more. 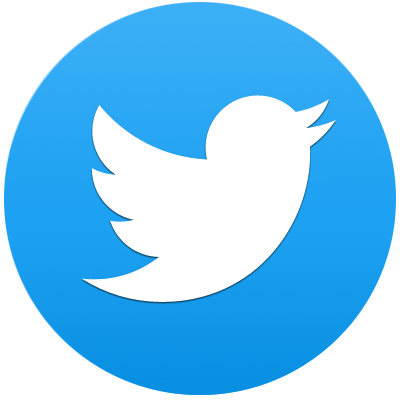 The Third Annual Buffalo Cherry Blossom Festival will feature eight days of music, activities, Japanese cultural presentations and entertainment. Most activities are free and open to the public. 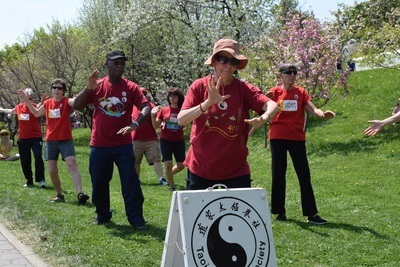 The White Plains Recreation and Parks Department and the Niji No Kai Japanese Education Center will join together to host the Cherry Blossom Festival at Ternure Park. Surrounded by more than 60 gorgeous blooming trees, this is a beautiful setting for traditional Japanese music, dance, storytelling, games and crafts for people of all ages. 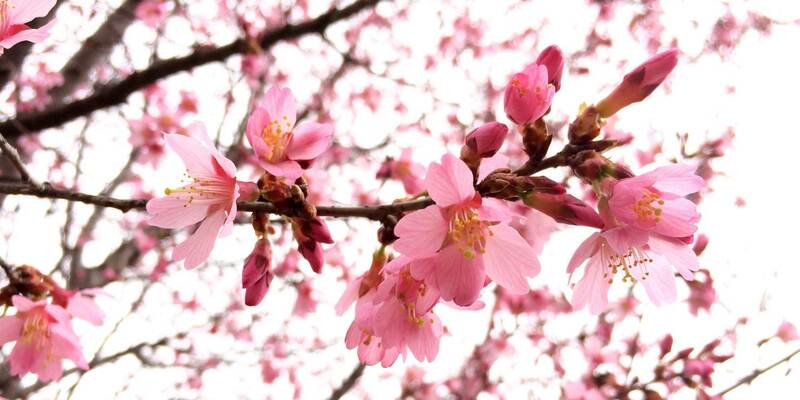 Long Island hosts its very own Cherry Blossom Festival at Stony Brook University.  Demonstrations of Japanese cultural traditions will include the exciting sounds of taiko drumming, cosplay and the elegance of Japanese dance and music. As the name suggests, Sakura Park ("Cherry Blossom Park"), located on Manhattan's Upper West Side at 122nd Street and Riverside Drive, is a historic site, with close ties to Japan. In 1909, the Hudson Fulton Celebration was held to commemorate the 100th anniversary of Robert Fulton, the inventor of the steamboat, as well as the 300th anniversary of English explorer Henry Hudson's discovery of the Hudson River. At the time, various events were held throughout New York State to mark these anniversaries. 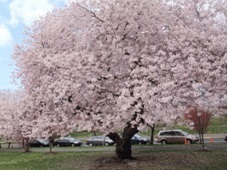 As part of these celebrations, the Committee of Japanese Residents of New York arranged to donate 2,000 cherry trees to what was then known as Claremont Park. Unfortunately the steamship that carried the original delivery of trees from Japan was lost en route to the U.S. 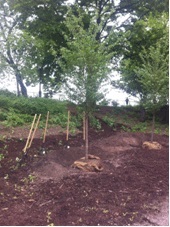 Finally in 1912, three years after originally scheduled, the trees arrived and were planted in the park. The park was then renamed Sakura Park. Later, the City of New York purchased Sakura Park from John D. Rockefeller, who owned the land. It was redesigned and reopened to the public in 1934. 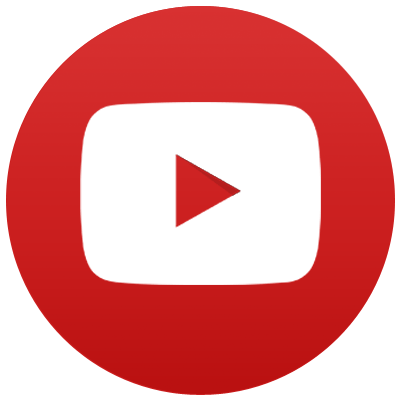 This was in part made possible by contributions from the Rockefeller family. In 1960, to celebrate the sister city ties between Tokyo and New York, Crown Prince Akihito and Crown Princess Michiko (now the Emperor and Empress of Japan) attended an official ceremony, during which a toro, or traditional stone lantern, was donated. The toro was provided by the Tokyo Metropolitan Government and was placed in the northeastern corner of the park. The Crown Prince and Princess again paid a visit to the park during their sojourn through the United States in 1987. In 1981, Sakura Park underwent renovations when new cherry trees were planted, and a pavilion, used as a performance space for the Manhattan School of Music, was constructed. Hideo Nomoto, the Consul General of Japan in New York at the time, attended its ribbon-cutting ceremony in 1986. In his remarks he stated, "The people of Japan as well as New Yorkers can once again enjoy cherry trees in Sakura Park, a tranquil island located on Manhattan, an island that never rests." 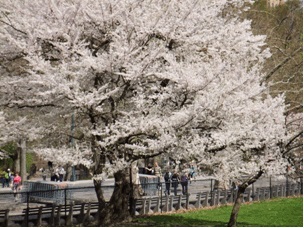 Central Park, an oasis of peace and relaxation for New Yorkers, is the home of many cherry trees. 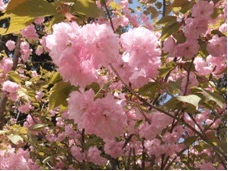 Scores of them are located around the reservoir, turning it into a ring of soft pink blossoms each spring, but cherry trees can be seen and enjoyed throughout the park. 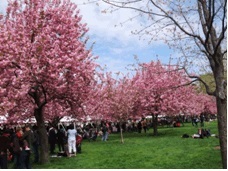 Japan Day @Central Park, which has been held annually since 2007, has ensured the planting of ever more cherry trees in the park. 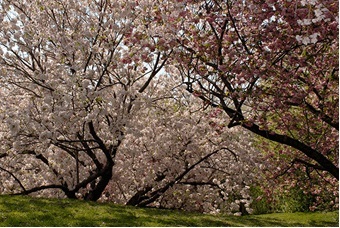 The New York Botanical Garden has more than 200 cherry trees. "Cherry Valley" near the Rose Garden has become a highlight location for them, as well as the Reflecting Pool near the Visitor Center.